Things have changed a great deal since I began my journey on the path of Wicca some 41 years ago. Two more generations have been born and grown to adulthood. These generations see things from a different perspective than those of my generation, the “Baby Boomers” or just “Boomers”, and this is as it should be. We all, however, live with the illusion of being single, alone, apart from everyone and everything else. This illusion is strongly perpetuated by the flesh and blood “costumes” we have adorned for this sojourn on Planet Earth. Spirituality, that quality or condition of being spiritual, often eludes us. Yes, the Creative Force has sent individual pieces (sparks) of itself here to learn and become enlightened enough to eventually find our way “home.” We are, however, not alone and there’s a part of us that knows that even in our loneliest moments. Perhaps that is why so many of us seek the comfort and reassurance of a spiritual path or religion to follow. I remember seeing the movie “Oh, God!” in the theater in 1977. I had only been in the Craft for about 3 years, but as I laughed I also heard some truths that were spoken about our concept of “God”. Paraphrasing, the one that really struck me was that God belongs to no religion. By whatever name you choose to call Him/Her/It/Them, no one religion has been singled out as the “true” representative of God’s words to us. (No offense meant to any who are reading this and believe otherwise.) It made sense to me. Variety, in many aspects of life, has been created because, although there are like-minded people, there are differences in how we perceive things and how things “click” in our minds. If there were choices in food, clothing, cars, etc. to fit the likes of people, why wouldn’t there be choices available to us spiritually, with no one being more right than the other? From out of this I used to create the analogy that, if one was traveling to Columbus, Ohio, one had a variety of choices of how to get there. No one route was more valid than any other. Your choice depended on where you were coming from, how much time you wanted to spend getting there, and many other factors. You still would be headed in the right direction. You would still get there. You just chose the best possible route for YOU. Why would this or could this not be true for our spirituality as well? You’ve heard me split hairs about the difference between ‘spirituality’ and ‘religion’. Although you can be quite spiritual and belong to a particular religion, your spirituality doesn’t require that you follow the teachings, dogma or tenets of any particular religion. My father taught me that. His belief was that ‘God’ was everywhere, not just in a church, temple, synagogue, mosque or any other religious building. If you needed to “talk” to ‘God’, you would be heard no matter where you chose to do your speaking from. He also didn’t believe that it was necessary to get down on your knees to be heard. Sitting, standing, lying flat on your back, as well as kneeling, you could speak and be heard. By the way, Dad was a Christian, Southern Lutheran to be exact. Anyway, I digress. My point is, when the time comes in your life that, for whatever reason, you feel drawn to find a spiritual path/religion to follow, what really matters is that it feels right to you. It is that “rightness” that has caused, over the course of my personal walk, to have others come and ask about feeling conflicted. On one hand, Christianity was a familiar path, but it wasn’t answering all the questions that the person had. She/He also felt drawn to witchcraft/Wicca because it seemed to be more open and honest; it took the feminine principle into consideration; it looked at other aspects of our existence including reincarnation, psychic abilities, etc. The question that usually followed this preface was, “Is it possible to be part of both?” or something similar to that. The answer to this is as individualistic as the person asking it, but basically, the short answer is “Yes.” Some of the things that people of other faiths don’t know about witchcraft/Wicca is that we respect the beliefs of all positive paths. We even study them, to a greater or lesser degree, in order to understand and perhaps grow spiritually from that understanding. We honor and respect all messengers of ‘God,’ who came with messages to aid Mankind, no matter what faith they belong to or had named in their honor. Finally, what most people of other faiths call ‘God’, we refer to as the “Creative Force”. In our beliefs, this entity is neither male nor female and yet both. We recognize that, just like on Earth, in order to create life, the Creative Force divides Itself into masculine and feminine or male and female. Believing in “As above, so below.”, our religion recognizes this by honoring a God and Goddess who are represented in our worship by our spiritual leaders: the High Priest and High Priestess. The fact that we can be monotheistic and polytheistic often throws people. It can be done. It is our reality. I’ve been often asked, “But what about all those god and goddesses?” That, too, is fairly simple to understand. First, there are many cultures who worshipped gods and goddesses and had their own names for them such as the Mercury of the Romans is Hermes to the Greeks. The number of gods and goddess in each of these pantheons is similar to the many male and female saints of the Catholic Church – each has a specific purpose for which they may be called upon. There are warrior gods, planetary gods, nature gods, goddesses of healing, teaching, childbirth, marriage and the list goes on. The bottom line: “All goddesses are one goddess, all gods are one god, but there is only One Initiator.” So we have room for even the gods and goddesses of other faiths. When you get down to deciding what path you want to follow, the only thing that really matters is how it “feels” to you. If it fulfills your spiritual needs, including fellowship with others of the same beliefs and practices, and answers the questions you have as you reach to touch that spiritual part of you and better understand it, then that’s what truly matters. Yes, many things have changed, and sometimes dramatically, in the last forty years. One thing remains the same – our quest to get in touch with that part of us that is eternal, that part that reveals we are a part of something much greater and that we are not alone. Through our quest to find a spiritual path and then explore and investigate it to its fullest, we can become more fully realized beings. Don’t limit yourself in that quest. Don’t be afraid to combine paths, if that’s what your Spirit yearns for, remembering no one path is meant for everyone. 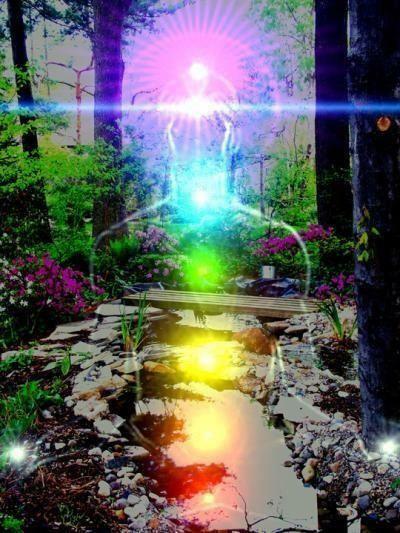 The important thing is to take that quest to find that spiritual connection. 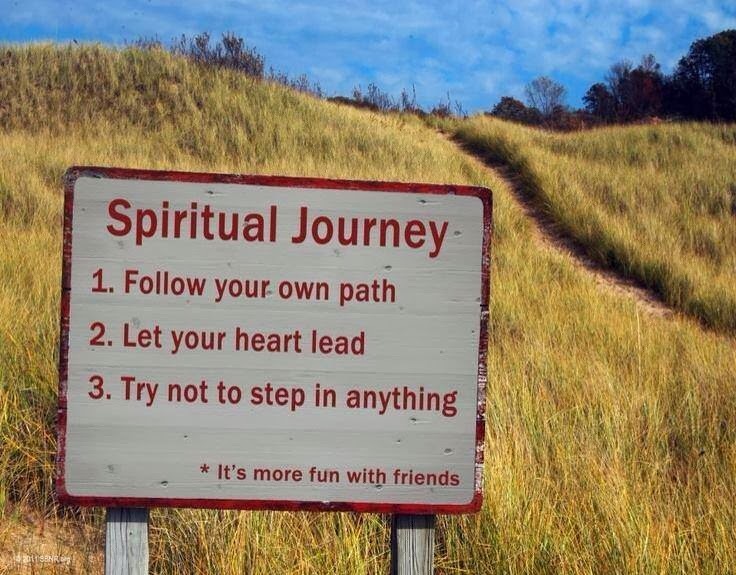 May your journey be interesting and fulfilling. This entry was posted in Astrology and tagged Creative Force, Faith, Goddesses, Gods, Paganism, Religion, Samantha Herron, Self-Empowerment, Spirit, Spiritual Journey, Spiritual Path, Spirituality, Wicca. Bookmark the permalink. Reblogged this on Joao de Gois. Where do i find others like you and who see as you do. I’ve understood your words more deeply then anything I’ve read before. I live in nw illinois and would love to find others that see as you do. That would be difficult for me to say. What I can tell you is that if there is one of me, there ARE others like me. If you are an earnest Seeker, your quest will eventually lead you to them, when you are ready. Blessed Be.